Dim lights, the sound of a saxophone, a strong alto. 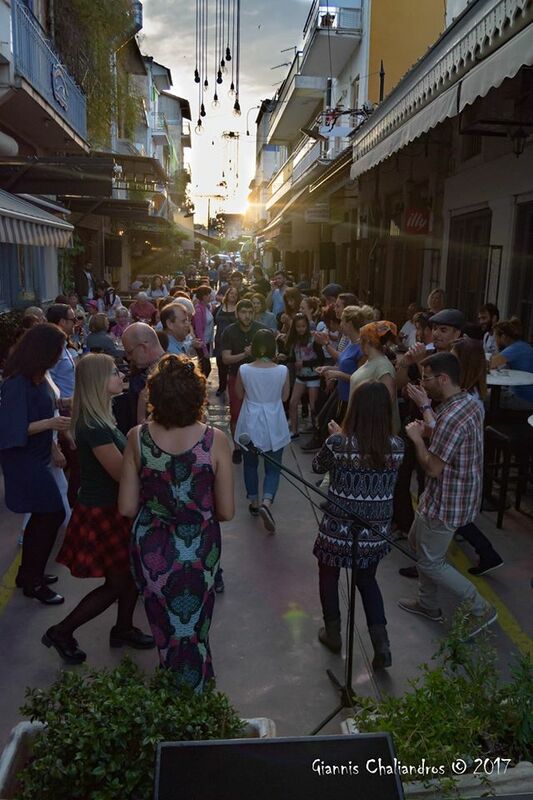 Last week Kalamata was a destination for jazz lovers from all over Greece. 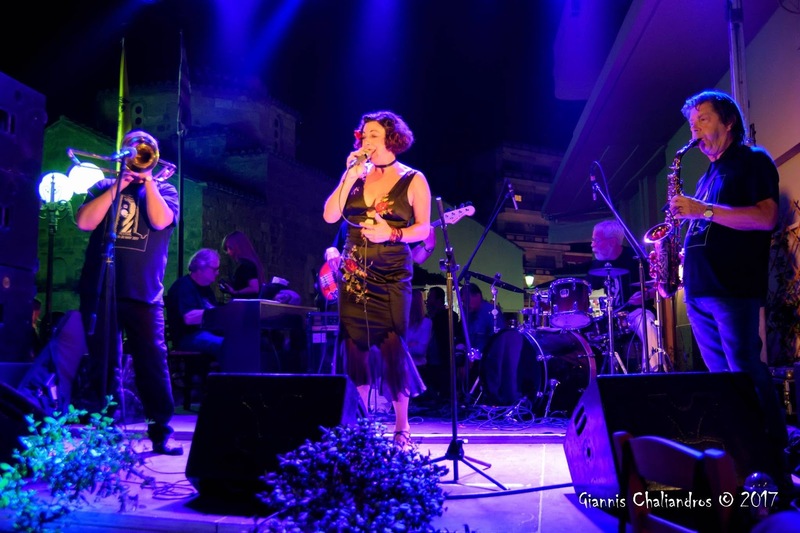 On the weekend, the annual International jazz festival started in Kardamyli and a couple of days before that we got a sneak peak in Kalamata. Although this charming music filled the air, many didn't know how to move in the rhythm so they would bring back the feel from the age of swing. Luckly, in Kalamata there's a group of Lindy Hop dancers who offered a free lesson on the streets. With their colourful dresses they lifted the atmosphere! After we managed to get the hang of the basic step, it was time for some practice with live music. A band from all the way across the Atlantic brought us the sound of jazz. New Orleans in Kalamata, who would've guessed?! As we danced away in the night, we had our mind on the upcoming days and a trip to Kardamyli. Now, Kardamyli's population was probably at least doubled as people from all over Europe (plus New Orleans) gathered for the festival. On every corner you could hear english, german, dutch, norwegian... After another lesson from the Lindy Hop dancers, The Shoeshine Boys took over the stage. They said how it was their first international concert and they looked like they were enjoying the greek atmosphere far away from Oslo. Sometimes it's hard to properly express a feeling in words so here's a video in which Ingrid Lucia joined the band on stage! The graceful jumpying figures in front are the wonderful Lindy Hop dancers I keep mentioning. Yes, I do. The festival lasts for a week. And it's every year so plan your next May carefully! Spot your opportunities and grab onto them!